Cravar is based near Jakarta, Indonesia. It was birthed out of a backpacking trip to Italy during 2005 when Yoki Baskara encountered an old stationery shop that was being operated by 3rd and 4th generation leather artisans. Yoki was also involved in wedding photography. In identifying a need for quality wedding albums, he assembled a team a craftsmen and began to assemble handcrafted leather wedding albums and tote bags. In 2012, Yoki proposed a plan to several close friends for a leather goods company and Cravar was born. After a very successful Kickstarter in 2013 followed up with another successful Kickstarter campaign in 2014, Cravar has starting carving its niche in the global leather products industry. We recently reviewed (and gave away) The F.C. 15 Bag. 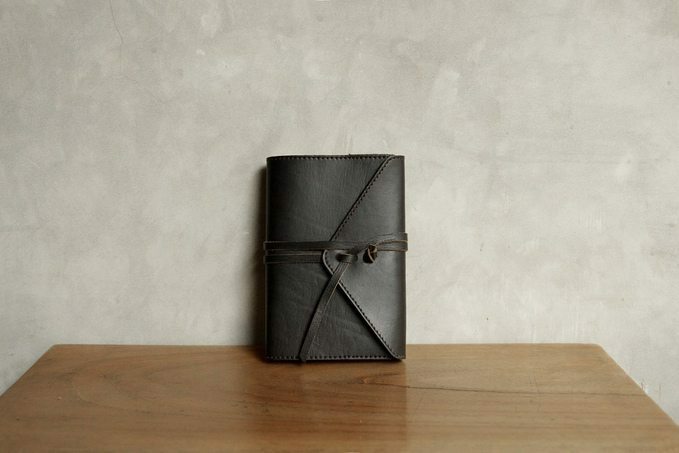 Cravar launched another Kickstarter last week, offering several products including two sizes of closable travel journals ($50 & $70) and three sizes of leather tote bags ($189, $209, & $239). The totes feature full grain veg-tanned leather, adjustable handle lengths, double stitched seams, inside pockets, and lots of customizable features. You can also get Cravar passport holders, pouches, and cardholders. While the Kickstarter was funded within the first 24 hours, you can still pick up these great-looking pieces for discount Kickstarter prices, so check them out!